Ice - Alexandra Ivy As the plot thickens, the Pantera face even more danger at the hands of Christopher and Benson Enterprises. Cammy is at odds with her feelings for Rage ever since he found his mate but now that Rage is out of the picture the elusive, reclusive Ice makes his move towards claiming Cammy for his own. 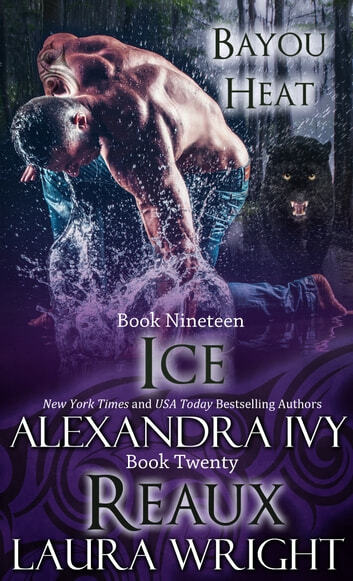 But as danger surrounds them and more secrets are revealed, Cammy begins to realize that it is time for her to listen to her inner cat and get her claws into Ice before it is too late for either of then them to have happiness and love in their lives. Reaux - Laura Wright Tragedy has been a constant companion for Karen for the past 12 years and once again her sanity is at risk with the discovery and subsequent loss of Ward. A blind stumble into Reaux's arms jolts her to the realization that with him she is safe to feel, to hurt, to cry and heal. But Reaux has problems of his own. Past experiences with women have lead him to believe that they only want him for one thing and that Karen is not that different from them. Soon he comes to understand Karen's past and that she is not the same as all the women he's met before. Maybe together they could help each other heal the wounds of their past. ARC provided in exchange for an honest review. I loved this book. I love all of Alexandra Ivy and Laura Wright's books. My only complaint is thats the books are too short. A must read.